Tech Air airbag compatible super sports jacket. A premium performance riding leather jacket that is compatible with Alpinestars class-leading airbag technology, Tech-Air™ the GP TECH incorporates a range of new track developed and tested protection innovations. The GP Tech V2 is Alpinestars’ top racing-inspired leather jacket, with plenty of ventilation and highly developed fit and features you can feel comfortable and secure on the street. Highly durable, premium bovine leather multi-panel construction for superb abrasion resistance, with reinforced stitching for optimum tear resistance in the event of an impact. LED display on sleeve indicating airbag’s operational status, plus internal conduit for system vest’s ECU. Internal velcro fixings plus zipper in order to house airbag system vest. 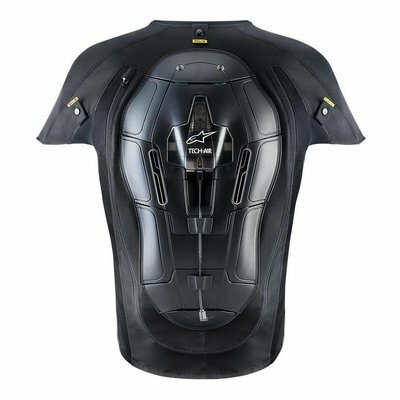 Accordion stretch inserts on shoulder and underarm designed to accommodate inflated airbag but which also offers anatomical performance while when riding without system. Alpinestars race-derived, CE approved shoulder and elbow protectors. Alpinestars’ new, exclusively developed shoulder protection is anatomically contoured and incorporates a triple-density polymer compound for improved performance in crash slides. The protection is ergonomically designed for improved upper body flexibility and features over-injected mesh air inlets for excellent air flow. Elbow protectors feature injection-molded protection and dual density foam padding. 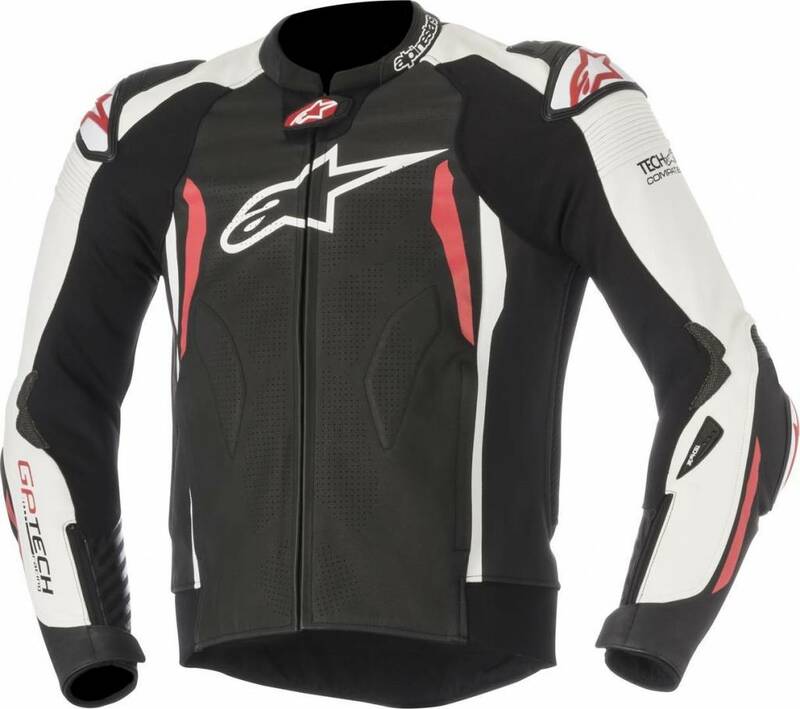 Chest and back pad compartments with PE padding (Alpinestars CE certified Nucleon chest and back protector inserts available as accessory upgrade). Snap connection system allows integration of CE level 2-certified Nucleon Race Back Protector for the ultimate in protection (for use without Tech-Air™ system). Soft 3D mesh collar and cuff construction for improved level of comfort and breathability. Newly evolved aerodynamic ventilated back hump is designed to incorporate hydration pack and features a conduit opening for water hydration hose. Fixed inner liner with multi-panel construction and 3D mesh inserts to improve comfort and ventilation. Extensive Aramidic fiber stretch panels strategically positioned on the underarms and side waist for excellent fit and feel. Ergonomically engineered ARSHIELD reinforcements, consisting of aramidic fiber and polyamide, strategically positioned on sleeve. Pre-curved sleeve construction helps reduce riding fatigue. Velcro and D-ring waist adjustments for a highly customized fit is positioned inside the jacket to improved anatomical profile. External hand pockets are zippered for peace of mind closure. Interior waterproof wallet pocket and interior pockets with velcro for peace-of-mind closure. 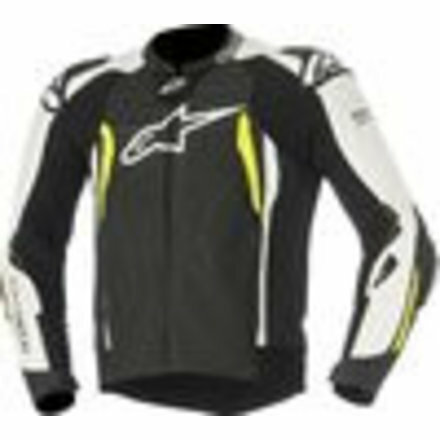 Internal waist connection zipper allows attachment to Alpinestars riding pants. Printed detailing and logos for a unique aggressive performance riding look.